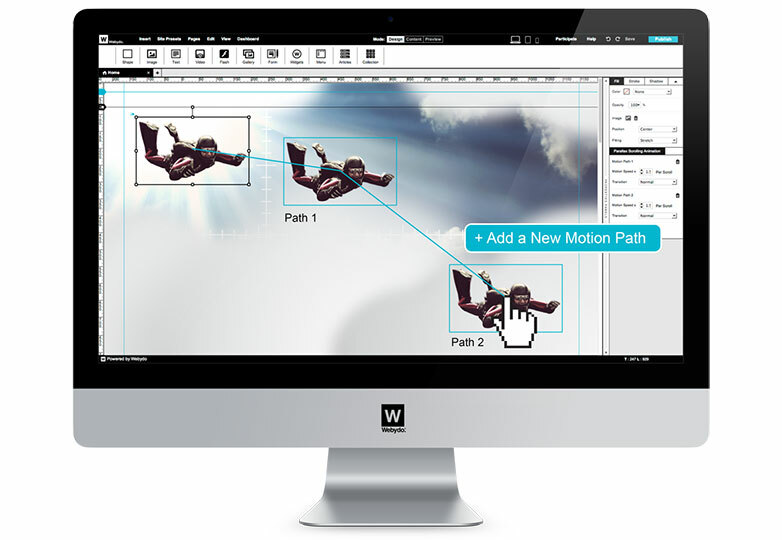 Following on from the professional web design platform, WYSIWYG application Webydo’s announced its community-choice’s latest feature: Parallax Scrolling Animator. Voted for by almost 93,000 users, Webydo’s release of its code-free Parallax Scrolling Animator is an exciting feature update for professional web designers; giving them the freedom to create incredible web experiences for their clients and visitors, without the need to learn code. In addition, now, designers can work independently to achieve what was once only possible by hiring a developer. Webydo’s inviting our readers to be part of the design revolution and try out the first code-free Parallax Scrolling Animator that is pixel-accurate. This is a limited time offer and the first 3,000 readers who Sign Up within seven days will be invited to join their closed beta trial. Invites will go quick; several weeks ago, Webydo released 2,000 invites to members of their community which disappeared within the first 1.5 hours. 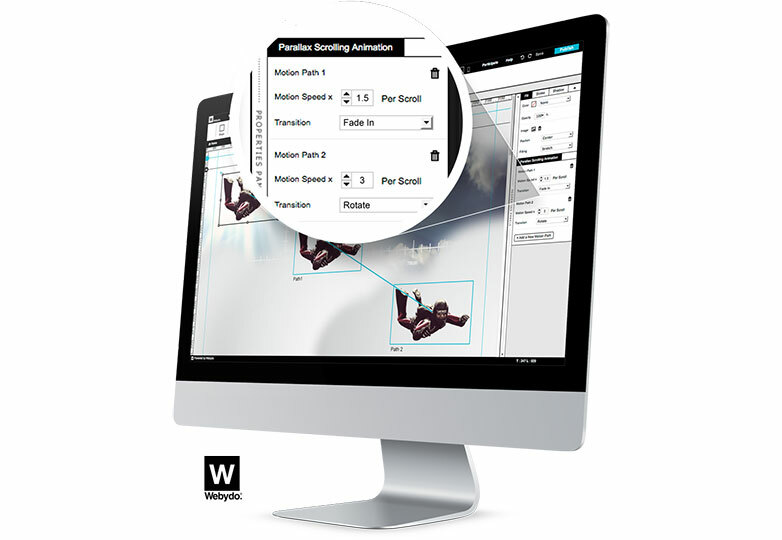 As with Webydo’s WYSIWYG editor, Parallax Scrolling Animation uses a unique visual interface which will save hours of time when creating engaging one-page sites that have both depth and motion. Webydo is a community led platform with over 93K active professional designers who are participating in helping shape the future of Webydo’s platform. The Participate page gives Webydo’s designers the ability to submit and vote on new features that should be added next. Parallax scrolling is engaging and captivating the designer’s community, so take this opportunity to try our Webydo’s code-free Parallax Scrolling Animator and be one of the first 3,000 designers to create a pixel-perfect parallax site today with Webydo.